You should be writing blog posts that ignite viral content marketing in order to run a successful and influential blog. That’s because blogging is pretty pointless without some truly effective content marketing strategies working in the background. I have suggested that you learn to write the perfect blog post. You have to focus, first, on writing content that is capable of going viral. This involves a few key components. One “secret” to make viral content is to do a few high-emotion twists and tweaks so it will “get contagious” on social media. The idea behind using key emotions is to make people feel that they will truly benefit by reading your article. You see, people don’t really want to read your blog post. No matter if how perfect it is. Unless your reader is your old Creative Writing teacher from grammar school, just checking up to see if you ever learned anything, hehe. Seriously, though, the only reason anybody wants to read your latest blog post is to gain some benefit. This is what I call disrupting their complacency. If they don’t expect to reap a concrete benefit from your blog post, they probably aren’t going to check it out. To get information they can probably get from a thousand other articles? Because they want your unique perspective on the same old issue? Or, simply because you’re so entertaining and clever? People want to know how they will benefit by spending the next 5, 10 or 20 minutes reading your blog post. If they’re not feeling the benefits, they’ll probably find a better way to spend their precious time. what can you do to make sure all your hard work at the blogging grindstone will pay off for you? Stick it under the noses of people who are waiting, salivating, begging for the benefits that your blog post promises them. So here’s the deal with the waiting, salivating and begging. People want to read your blog post. It promises them clear benefits by reading it. Why don’t you know them, or know about them? What is it that they’re waiting, salivating and begging for? This is the essence of how to create viral content. That means that it’s really important, so let’s hover over the key points. Who are these people you are creating viral content for? These are the people who are keenly interested in your niche topic. If your topic is “arthritis” – you’ll be writing to a very broad, maybe casual audience. Narrow that down to “arthritis remedies” – you’ll find a smaller, but more engaged audience. Whittle it down to “exercises to alleviate arthritis” – an even smaller and more eager crowd awaits. If you write an article on “7 three-minute exercises you can do inside your work cubicle to make arthritis pain just a bad memory” – now you’re getting folks to really perk up. This is something many arthritis sufferers have been waiting for. They’re salivating at the thought of reading about these 7 exercises. I don’t actually know if they’ll beg you for the link to your post, but pretty darn close to it, I’d say. Where are they… where is the viral buzz? These people suffer from arthritis. Get to work… find out where they hang out. Certainly there are blogs they read regularly, Facebook or LinkedIn groups that attract them, forums they frequent and so forth. That’s part of your market research. Don’t think you’re too busy to do it because, honestly, it’s like saying you’re too busy to be successful. Locating the viral buzz swirling around your niche and topics… that is the key to your success as a blogger… and certainly your key to creating viral content. Probably because you never thought about how important marketing was to your blog. Even more… you never thought about how to create viral content. You thought you just needed interesting articles with pretty graphics and the crowds would bust down the doors. What exactly are they waiting, salivating and begging for? Ways to overcome their challenges. Give them that, and you’re on the right path to make viral content and viral blog posts. Be honest with yourself, now. If your article isn’t solving the big problems that your tiny niche faces, it’s not going to go viral. So, go back and do a rewrite. It’s about staying real, working and then re-working, staying focused and on course. OK, rip it off the typewriter (haha), crumble it up and toss it in the garbage. To get some viral juice heading your way, you’ll want to share that article with the Group “A” crowd. But, then, go a step further. Share it with folks on other group locations that you’ve identified as likely hotspots. The best way to do that is to put your blog post into various content forms. Share that with some of the top bloggers in your niche. I’ll say no more because, hey, a picture’s worth a thousand words, yup. So how do we get all the great content we created to actually go viral? Well, many things you can do, of course. It’s always the way, isn’t it? Here’s a couple just to get you off the ground on this. Transpose your content on Youtube and other video sharing sites. This can be as simple as reading your article while shooting video of a still image. I’m sure you’ve heard me talk a lot about how to use influencer marketing to activate some really high-octane viral content marketing. It’s one of the best methods you can use, really. So start connecting with some influencers who can help your content go viral. Link your guest articles on top influencer sites to your Big Idea article if you can. That’ll surely juice things up. Ask other bloggers in your niche to send an email out linking to your article. You agree to reciprocate by sending emails to your list linking to their top article. I could go on, and you can probably come up with some great ideas of your own, here. The strategies change over time. What works great today may be old and obsolete tomorrow. What’s important, is to keep exploring ways that work for you to get your articles in front of the people who will benefit most by reading it. Here’s a great bonus tip to help you make your blog post go viral. I’m going to let my friend Harsh over at Shout Me Loud introduce you to a juicy-sweet and free platform for your next blog promotion campaign. It’s called Viral Content Buzz. After all is said and done, accept the fact that not every article will become a viral blog post. become loyal, trusting fans and followers. Don’t get caught in the trap of trying to invent some new, earth-shaking idea that nobody has ever thought of. The truth is, going viral is about the best ideas, not new ones. Always write blog posts that will improve the lives of your readers. Whether you’re giving them great techniques for managing their arthritis pain, or teaching them how to learn to play the guitar, if doesn’t matter. What does matter is that you know what their problem is, and you dedicate yourself to helping them solve it. Insofar as you succeed in that lofty mission, you are helping them to have a better life. They can manage their arthritis pain better. They can finally learn to play the guitar. Whatever improves their lives, that’s what you need to deliver. Now you’ve got the secret key to writing blog posts that ignite viral content marketing. Want to see how some other bloggers made their blog posts go viral? Take a moment to read this fascinating Smart Blogger article by Brittany Bullen detailing how some bloggers have made their posts go viral. What kind of viral content marketing do you do? What new strategies are you thinking of to ignite viral content marketing for your blog posts? See how easy this is, hehe. This is an outstanding guide to writing a viral blog post. The suggestions that most pro-people used to talk about the researching, getting the targeted niches and by the catchy titles, are most of the times various bloggers just ignore or skip these details. But as I got to known after few days, these are the best suggestions, without issue the extra work and time you spend on anything the greater the chances are that it will go viral. I accept that spending time and power on social media could be a rewarding job to do. The heading should be killer, and catchy enough that draws visitors attention towards the content and a solid background design will produce an engaging attraction for a user. Especially, I follow most of the things that you have listed here. At the starting phase of blogging journey, a user has to spend more time than standard time; I understand how it tastes while you write a quality article and there is no one without you to check your write-up. But the things will improve as long as you invest full time and energy to develop your blog. I’ve bookmarked this article to be able to check back again when I decide to write any blog posts. Thanks and keep sharing such quality pages. Interesting points here, Donna! Viral content should consider viewer preference and more about helping people’s lives get better. I also like the idea of infographics since viewers tend to be more engaged with visual content and also creating a youtube video. It not only easily captures viewer attention, but it also allows for an easy share. Would really love to try the suggestions here in my upcoming posts. Hi Donna. I love the Inc.com list on the essential components that make a post go viral. It’s simple enough to keep in mind if you’re just writing content, but hard to do when you’re trying to sell something. You end up writing complex and technical articles that no one understands or wants to read. Thanks for sharing, and I’ll keep it in mind while writing articles from now on. Great strategies Donna. Glad I landed on your blog. Marketing the Content never been easy at all. But, your mentioned tips for making the content viral can hit the bull’s eye. Infographics are being very trendy these days, and a great way to drive traffic. I think it’s time to create more and more infographics for my blog. Apart from that Guest Posts are the best way to get noticed by the different audience. I just started it, and could see the difference. Donna, never have you failed to amaze me with your articles. Long time reader here and once again I would like to say thank you for the very informative post! Keep on sharing and I’ll keep on commenting. Have a great day always! Thanks for this amazing post. At the moment, I’m working on using emotional trigger and education based marketing to attract viral traffic to my content. Both of them require a lot of psychological work but I’m sure it will yield the intended result. By making my audience feel special, especially those with the capacity to share my content to a large list, I get the desired result I want. Don’t know if that’s a bad strategy but it’s working for me. On the second point, I ask members of my Facebook group what they want and I create the content for them. By educating them, I sneak in my product as well. Odd, right? But it’s working. What do you think, Donna? Thanks for the amazing blog post! Content Marketing is a king for sure but it cannot survive without its army. A proper plan and schedule is needed to make a blog successful. Thanks again ! For some great tips. This is yet another wonderful blog post. Creating the type of content that goes viral is not easy at all, you have to ensure it has all the ingredients needed in a content that will go viral such as the ones you mentioned on this post. Content marketing of today is no longer all about writing, and writing different articles hoping it will become successful, it does not happen that way again. As a writer, every article you write must have a purpose. If you desire for it to go viral then, you must plan for that from the beginning. You must ensure it has all the catalyst that will ignite the fire that will make it viral. However, you’ve already said it all here, I am sure this post will be able to guide anyone towards creating viral contents. Creating viral content is not so easy for many bloggers. Only Infographics is one of the best ways to build viral content. Sometimes rumors play a vital role to make your blog post go viral. However, I will implement all these methods in my upcoming blog posts. I am hoping to get the best results. Nice to meet you here through your awesome post on Viral content marketing. Informative post indeed. 🙂 Best tip to write viral content for blog here. A blog post which go viral is best for website, so we must keep updating blog with effective and relevant post regularly. Here is the best techniques to make blog post go viral and following them is good for every blogger. I never heard before to write blog post go viral. Great to know and understand about it very well here. Yeah, infographic is the best choice to share ideas since it plays important role to understand audience visually. I am starting to take out more time to focus on benefits, so that is what stood out to me in this great post. Rachel Lavern recently posted..How Do You Spend Your Days? The most important thing of all when selling or promoting is to focus on the benefits your buyers, clients or subscribers will get by doing business with you. I took notes and bookmarked several sites. I am going to look into doing some infographics. They go viral like wildfire apparently. That’s why I write these kinds of articles, to stimulate your thought processes. As for implementing things, I always remind people to try to focus on just one thing at a time. Get really good at one thing, then move on to others when you think you’re ready to do more. Often, people get so good at one thing that they really don’t need anything else. It’s been a while since I wasn’t here. I can see that you have made a lot of improvement on your blog. Your posts are rocking, there’s no other word to describe them. I really like the way that you divide content and don’t let the readers get bored. Brian Dean called this technique as bucket brigades. Also, the images that you use, are top-notch and not usually can’t be seen in the first pages of Google. Great to be back again. As for the layout, yes, dividing content into “bits” is an important way to keep people’s attention, and make your content more easily understood. It also helps people navigate to specific sub-topics that interest them the most. What an EPIC one is this!!! This is really an amazing information to all bloggers who wants to be on the top with their viral contents!! Your post is indeed a good guide in itself. Though I read this in the afternoon on a quick read and I bookmarked to for my later read! I am here again with my feedback. This is no doubt a bookmarking guide to all bloggers. First of all, thank you for sharing this article in your latest blog post. As for the viral marketing strategies here, I did give you an awful lot to think on. I don’t do this to overwhelm you, but to give you some choices and options. I think the best case scenario for a post like this… in my mind anyway… is that a reader will really connect with just ONE strategy or technique that they’ve not yet explored, and actually give it a try. That’s how you expand your marketing arsenal, and get something going that just could make a big difference for you. In other words, it’s my biggest hope that in some little way, this post will help improve the lives of my readers, just as I always suggest you do for yours. I like the idea of disrupting complacency. There are a lot of bloggers out there that are doing the same routine but they blog or business don’t budge. It’s important to write content that’s going to help them get over that hump. For me it’s through my research and experience. Fixing those irksome problems that keep you stagnant can be a real big pain reliever and my audience could relate to this. If you’re consistently doing this, and promoting your blog to an audience that stirs up their emotions and fix their problems, then you’re right on track! Thanks for the share Donna! Have a great week! You’ve found a way to get through to your readers by getting them over “that hump” that keeps them stagnant. You’ve been improving their lives and that’s essential. But the key to your success, of course, is in making sure to do a great job of promoting your quality blog posts so you can improve as many lives as possible. That’s when you realize how critical viral content marketing is to your blogging business and mission. Thanks for sharing your story, Sherman. Many bloggers will learn from it. This quote stands out for me here “Always write blog posts that will improve the lives of your readers.” because it sums up so much of what we should aim for in any niche. That might involve teaching, satisfying curiosity, empathising with or solving problems, surprising, or making people laugh ….. As you say there should always be some benefit for the reader. I suppose the trick is to write it in a way that continues to satisfy needs all the way through. A catchy title might capture attention, but if you can’t follow through you miss out on all those shares that help a post go viral. Thanks Donna, I’ll keep your tips in mind for before I even start writing a post rather than just plunging straight in to something that interests me. We can’t assume it will interest others. So true that if we can’t follow through, we can miss out on all those shares that help us go viral. Keeping the reader in mind and finding so many different ways to improve the lives of others always seem to work. As you mention, we can solve problems by headlines, or being funny too. Awesome! Mighty good stuff as usual Donna! how to consistently create content which goes viral? tips right now.and there isn’t a huge learning curve involved. the tough part is to actually implement some of these things. I mean, anyone can say “do this”, but it takes time, organization and persistence to do it right, and do it consistently. And that, of course, is where the magic begins. Fantastic post .. I learn more just by observing what you do in your posts. I don’t consider myself a good blogger at all … lol So reading your posts are very educational. I really liked the INC tips for going viral. Appreciate the info, thank you! Yes, it’s a good idea to just observe what other bloggers are doing sometimes. Donna Merrill recently posted..What Makes Your Blog Unique? 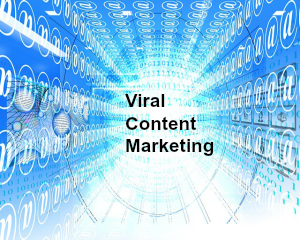 You are right about all that you mentioned, though not many people know the term as viral content marketing. Speaking of which, we also learned about it after a while, but once you know, the is no other way than to implement it. Time is always an issue with bloggers, I guess, though they need to manage their time wisely and spend it where it’s required. Yes, infographics are a great way, and so are the many other options you gave. I’d be checking out the links you shared shortly, seem interesting to go through them all! Yes, so true… time is always an issue with bloggers. It’s a matter of managing in a way that best fits our particular style and business model. This post is chock full of ideas and such right-on suggestions. Only problem I find is the amount of time and focus needed to implement what you are suggesting. I guess if I was just focused on blogging, I would spend more time going to groups and sharing about the blogs. But I am so busy doing video interviews, radio interviews, and appearing on various virtual summits, that I find my time for writing and creating blog posts is limited. So I tend to write about something that inspires me at a given time, without much thought about what it would take to make it go viral. Your suggestions and insight and personal experience with blogging have shown that you are really implementing these tactics – and your high response-rate is showing that what you are doing is working. Your students can learn so much from you. Dr. Erica Goodstone recently posted..Are You Ready, Willing and Able to Heal? I know it’s a juggling act for most bloggers. I guess the easy answer is to outsource, but that’s not so simple either. People who do a lot of outsourcing for tasks like social media and blogger outreach usually spend a big part of their time managing VA’s (virtual assistants) and outsource services. It really gets down to a personal decision as to how you want to run your business… working hard doing everything yourself, or managing teams and systems to help implement at your direction? For me, I tend to do most things myself, along with my partner/husband. I also do most things myself, even for these intricate virtual summits. I found it actually more difficult to rely upon a VA – and they made mistakes. When I was not able to fix the mistakes myself, I felt so anxious because the event was starting and certain things were not yet done. Now, I do it all myself except for the one piece that was too complicated for me to spend the time to figure out – the affiliate software. I contacted their tech support and they sent me to videos and asked for info that I did not understand. So the tech guy who just fixed the problem was a pleasure. As a new blogger I have yet to write anything that goes viral. However, I will keep writing and utilizing some of the tips you mentioned here. I particularly like the idea of an infographic that illustrates the big ideas. That is a great way to get attention and can be posted in quite a few locations. I am definitely going to have to put that idea into practice. Thanks for the blog post….you have such an informative blog. Yea, take just one idea, like the infographic sharing strategy. Implement it… implement it… yes, implement it. That’s where the magic begins. Keep learning, but even more, keep implementing. Your articles are bound to start getting some great play if they are valuable to your audience, as long as you’re marketing them effectively. You’ve made some excellent points here, and they are greatly appreciated in view of the success you’ve had with your own blog post marketing. I agree that being empathetic and truly caring about your readers is of utmost importance. Without that, few people will resonate with your article. As you say, drilling down to very specific points of value will make your article genuinely valuable to the precise market you are tapping into. That is the sort of activity that will help your articles go viral. I really dwell on that improvement factor more than ever these days. So key to think it through before you even conceptualize the post to put yourself in that proper energetic space. I like that idea of really drilling down Donna. Do that and you are golden. Excellent post here with some emotional push button-ing that will help you go viral, big time. Drilling down helps pinpoint pain points. If you cater to a SPECIFIC person you will find a hold in that niche. Folks with the problem share with similar folks. With more similar folks. With even more similar folks. And so on. But you need to drill down. Most bloggers feel drilling down. They feel they are losing out on a bigger audience, not understanding that specializing, not trying to go for a broader, more generic, mass appeal, is one secret to creating something genuinely helpful and inspired, and genuinely viral. In time, content can gain enough traction to start a wild fire in your niche. This can go viral if enough hyper interested folks are interested in the post. Drill down and they will be. Evoke strong emotions by using those pressing words which create a sense of urgency. I love tossing in spicy adjectives or powerful action verbs in my blog post titles and also, through my post lead ins. That 1-2 punch boosts traffic and also reels my readers in from title to the first 2 lines so I know most will stick around through the end of the post. As for the Inc checklist I’ve doubled down on being empathetic and compassionate to feel my reader’s needs. I vividly recall my past struggles. I also know so many new or struggling veteran bloggers are going through this stuff. This compassionate feeling helps you create emotional content. Stuff that helps people see you are human – just like them – and have suffered through the same pain. Or maybe you are suffering through the same pain now. This is a recipe for instant traffic and a potential major league viral post because many folks out there are suffering mightily. Just the way the world seems to work, as more folks are slowly becoming aware that they have the power to overcome the suffering. I love improving my reader’s lives. Doing so inspires me to write more guest posts, and blog posts, and in-depth comments and to create more videos and podcasts and writing more eBooks and creating more products too. The more you create, the more skilled a creator you become. What a delicious precedent for becoming a blogging gal or guy who can create something that drives a ton of traffic to your blog. In the end, creating something viral is about publishing something helpful that a ton of folks want to share because it adds value to their life in some way. Keep this idea in mind before you sit down to brainstorm your next post and your traffic will rise steadily with most blog posts. Even if it don’t go viral it will reel in people who need the help and you will certainly find some customers and clients in there too. Thanks for sharing this gem Donna. All incredibly good skills to learn. I have often wondered how to get to the point where something would go viral. I have had an article syndicated once, only happened once though. I guess something is missing, definitely the infographic as I don’t use them! I have some software that would product them though, I must learn how to use it! Mandy Allen recently posted..Facebook Live Is Live! Infographics would help your posts go viral, for sure. Most importantly, though, is that you put together a viral marketing strategy to get it in front of your target audience. Creating a viral content is a challenge to many. I agree with the point of creating an infographic. People show more actions towards the visual content. Taking a breath and think about the niche you have requires some time. The websites like Inc, Entrepreneur, Forbes are really good at it. They craft a content which goes viral within no time. Visual content is certainly more worthy of viral marketing efforts. And yes, definitely spending time laser defining your niche, and knowing exactly who your audience is and what will find valuable. Hey Donna! Once again ou have done an awesome job here! I dont think I have ever had a Blog post go viral, perhaps I need to heed your advice and go back and rewrite my posts. I have actully done this with a few posts lately, yet they did not go viral. I do believe my content is worthy of being shared, perhaps it does have more to do wth where and how I am sharing it. HUM?? Yeppers always a work in progress! I wasn’t suggesting you rewrite all your old articles. Maybe some of them that you believe you can make viral. Otherwise, I’m only talking about rewriting your current articles multiple times BEFORE you publish them… the idea is to make them grade A and worthy of viral marketing. Bottom line is as you say – make your content “worthy of being shared” – and you’re moving in the right direction. Having a viral effect on a blog post should be the ultimate desire of every blogger. I run viral news blog, where I combine both real time news and viral humor articles on the blog. What I discovered is that the viral articles tends to bring in the most traffic. In essence, it created a win win situation for me. Since then, I gradually shifted my news publication from the conventional old method to have a viral title tag and it is working just fine. Thanks for some real insight on this. Viral posts do, in fact, bring in the most traffic to your blog. Assuming you have a way to optimize that traffic, like building an email list… you have a great model for building an online business with your blog. These are definitely some great tips for making a blog post go viral. As a new blogger I think it takes time to start learning how to write amazing blog posts. I’ve personally found that I first have to get comfortable with the tone that I want to set with my blog posts. This may take writing some blog posts and see what works and what doesn’t. Once I do then I’ll look at my analytics to see which are my most popular blog posts. Then I’ll try to write another blog post based around a popular post. I am still learning how to write better blog posts. I think it just takes practice and that’s why I make it a point to write 1,000 words everyday. Thanks for sharing these tips with us, I know it’s going to help us improve our articles. It’s a great goal to write 1,000 words every day! It sharpens your skills and keeps your momentum flowing. It is always a great idea to make something viral. ViralThe need of the time is to understand the greater aspect of viral content and how to utilize the viral techniques. thanks for the really helpful article. Thanks for pitching in, here. Yes, you are right… Viral techniques are important, not just to make your content go viral, but to increase it’s reach.